The purpose of the list is to aid people in finding a church home that is sympathetic to the aims and doctrinal distinctives of the Founders movement. Specific information about the church's confession if any and the state of reformation is indicated when provided. Please use your own discernment in evaluating any church appearing on this list. The churches appearing here are listed voluntarily, and Founders Ministries is not able to evaluate and endorse each church individually. Fill out this form to have your church included on this list. 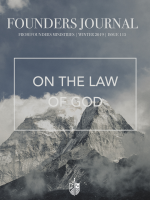 This list is copyright © Founders Ministries, Inc. Any use of this list for purposes other than its intended one is prohibited.